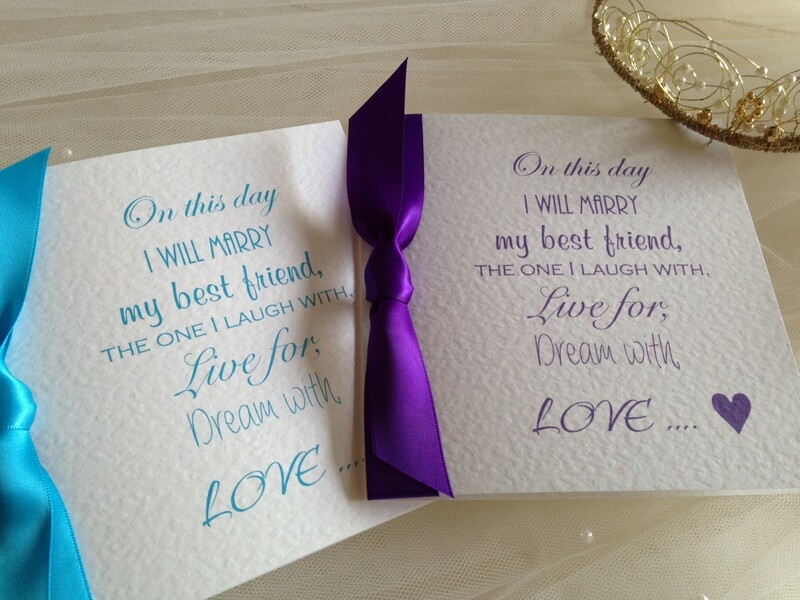 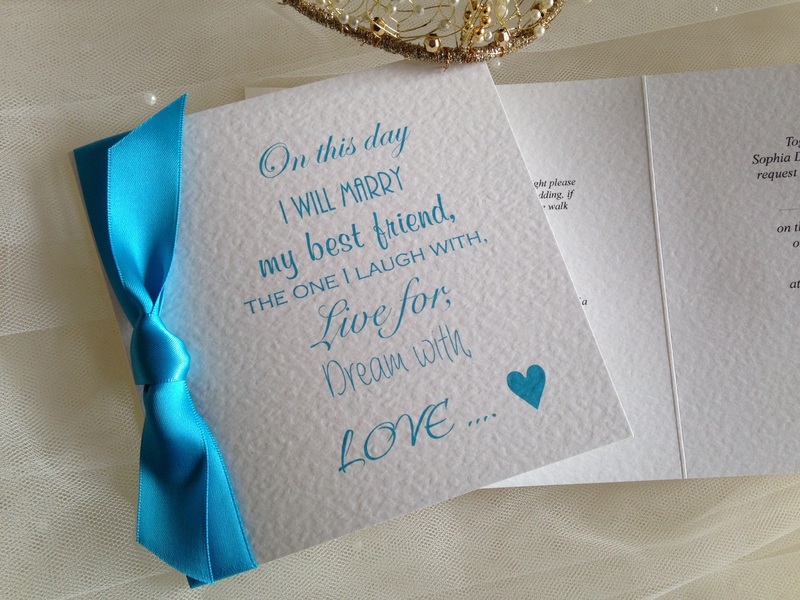 Marry My Best Friend Wedding Invitations are an attractive square personalised wedding invitation supplied on a thick heavy weight (270gsm) hammered card and available in either white or ivory. 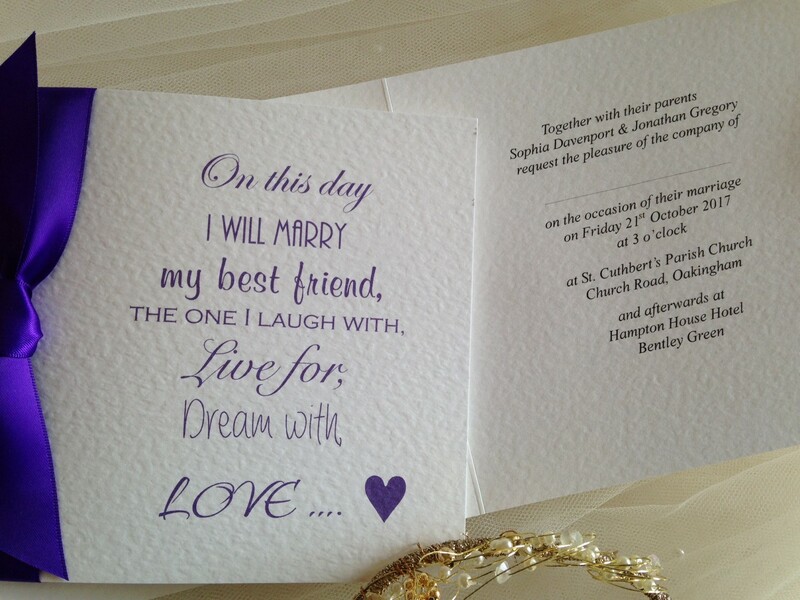 A fabulously modern design of contemporary typefaces. 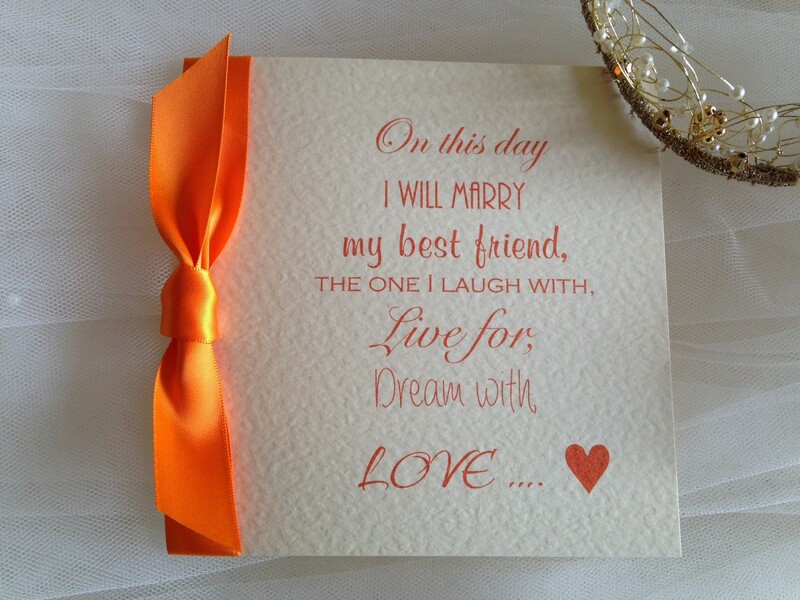 This wedding invitation is available in all colours to match a colour scheme. 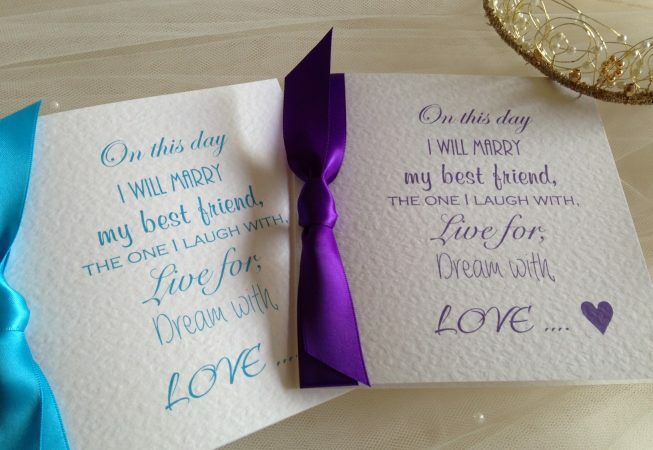 There is a good selection of font styles to choose from and we stock all ribbon colours in both satin and organza.